In September 2017, the New York State Attorney General announced that four non-profit organizations had been selected to demonstrate the benefits of battery-powered electric delivery trucks. Named E-Cubed, the innovative project highlights the economic, efficiency, and environmental advantages that all-electric delivery trucks have for New Yorkers. 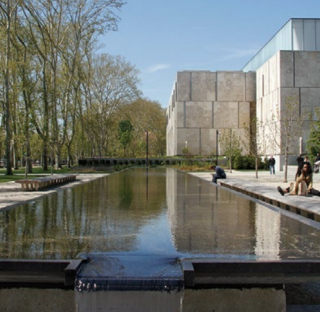 Along with the Wildlife Conservation Society, Habitat for Humanity NYC, and the Big Reuse, The New York Botanical Garden was chosen through a competitive application process to participate in this new program. On August 29, 2018, the Garden received the first delivery of the new all-electric truck. 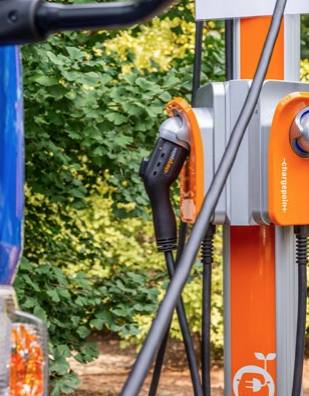 The charging station, provided by ChargePoint Inc., has been located near the Pfizer Plant Research Laboratory loading dock because of its proximity to available electrical power, ease of installation, and available parking. 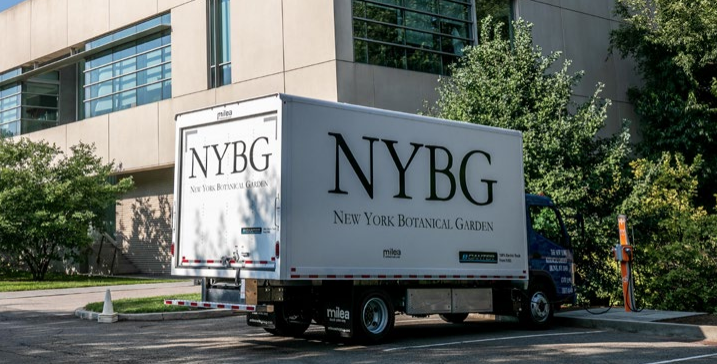 NYBG will be receiving an additional all-electric rack body truck with a lift gate. Produced by Mitsubishi Fuso Truck, a subsidiary of Daimler Trucks, both of these zero-emission vehicles will be used to support core operations and services. With a 75-mile range per overnight charge, they will help to reduce traffic-related soot pollution, create economic and environmental efficiencies, and provide a cost-effective alternative to combustion engines to create a greener New York. The initial lease will be funded for a two-year period and all costs associated with the lease and charging station have been paid for by the Attorney General’s office. Lisa Synoradzki is Senior Development Officer at The New York Botanical Garden. In Oaxaca Journal, renowned neurologist and writer Oliver Sacks, M.D., remarks on the contributions that amateurs provide to field science: “A special power of observing and remembering particulars, a special memory for places…a lyrical feeling for nature.” Such is a naturalist I learned in NYBG’s Urban Naturalist Certificate Program. 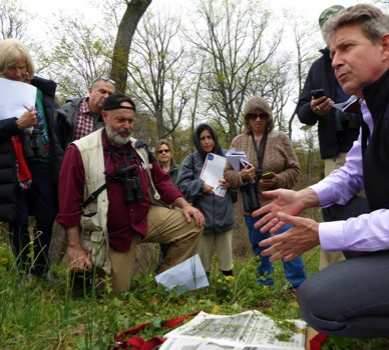 Courses provided a solid grounding on New York City’s plants, birds, and insects; their interactions; how they relate on the Tree of Life; and the ecology of their habitats. Field trips on Garden grounds and to Pelham Bay and Van Cortlandt Parks were chances for our class to practice identification skills and record nature. We learned to identify a sign of forest succession in a meadow—a small grove of sapling sassafras trees, notice the pollination strategies of ephemeral spring beauty flowers—pink lines on white petals that point to nectar, and reflect on the success of American woodcocks in persisting in disturbed areas as we saw them ascend for sky dances at dusk. As part of the Program, we were asked to create an ecological portrait of a patch in nature. I chose Welwyn Preserve in Glen Cove, Long Island, known for its magnificent, mature forest of tulip trees that are being threatened by storm damage, neglect, and an onslaught of invasive species. I documented Welwyn’s flora and fauna, its natural history and condition today, and the potential for restoration. My project led to an invitation from the Long Island Botanical Society (LIBS) to write an article for its newsletter, a presentation for LIBS members, and a nomination to the board of the Torrey Botanical Society. NYBG’s Urban Naturalist Program gave me the training and confidence to communicate about and advocate for the nature I love. Ursula Chanse is the Director of Bronx Green-Up and Community Horticulture at The New York Botanical Garden. What do rubble-strewn vacant lots, asphalt-covered playgrounds, tiny tracts of land wedged between intersections and train tracks have in common? Each is a perfect location for creating a community garden and urban farm. 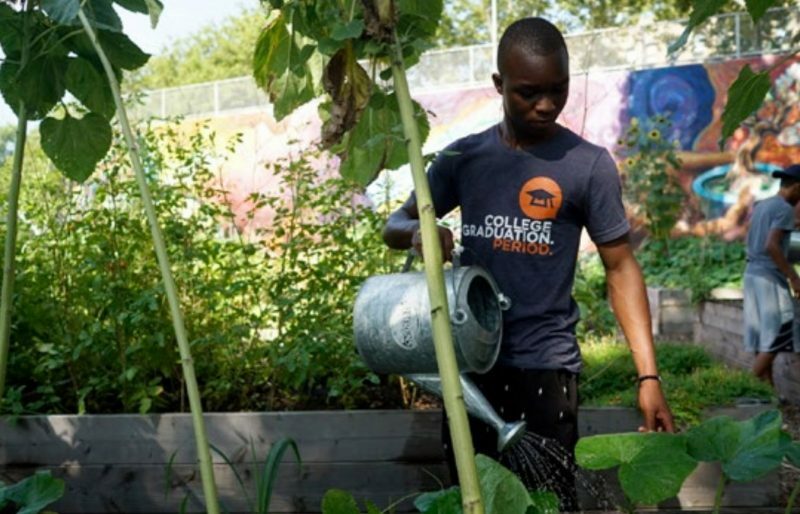 For 30 years Bronx Green-Up, NYBG’s community gardening outreach program, has worked together with our community partners to create vibrant gardens in the most unlikely spaces. Jodie Colón is the Compost Project Manager at The New York Botanical Garden. Although silver traditionally marks a 25th anniversary, may we suggest gold for ours? Black gold, that is! Specifically, the rich, dark compost made by Bronx residents of all ages trained by the NYC Compost Project at NYBG since 1993. At that time, as it still is today, food scraps and yard trimmings comprised nearly one-third of what New Yorkers discarded. 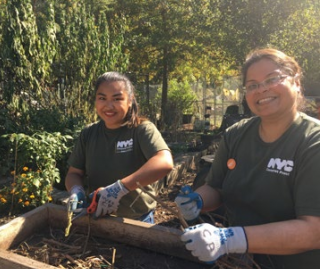 The NYC Department of Sanitation began funding NYBG Bronx Green-Up staff to engage local residents and our community and school gardeners in composting those materials as a way to reduce waste and revive urban soils. 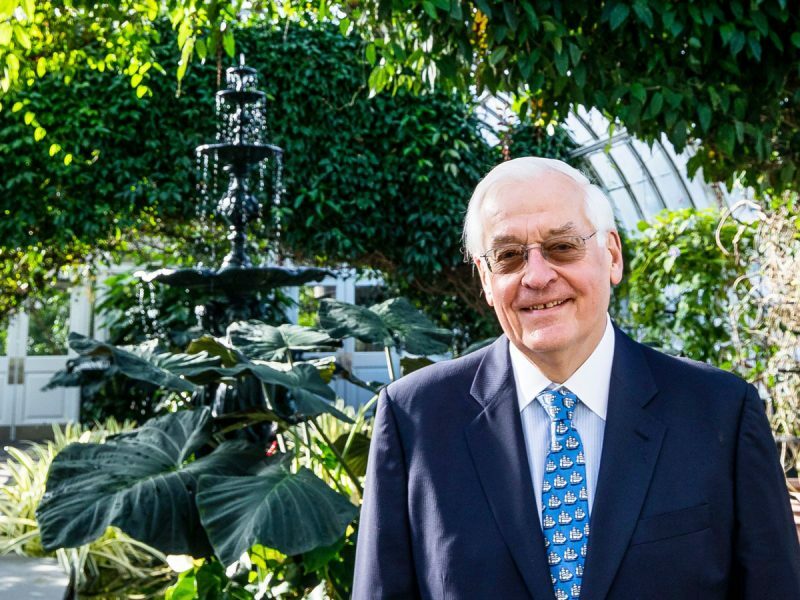 How long have you been a NYBG volunteer and what was the inspiration for becoming one? 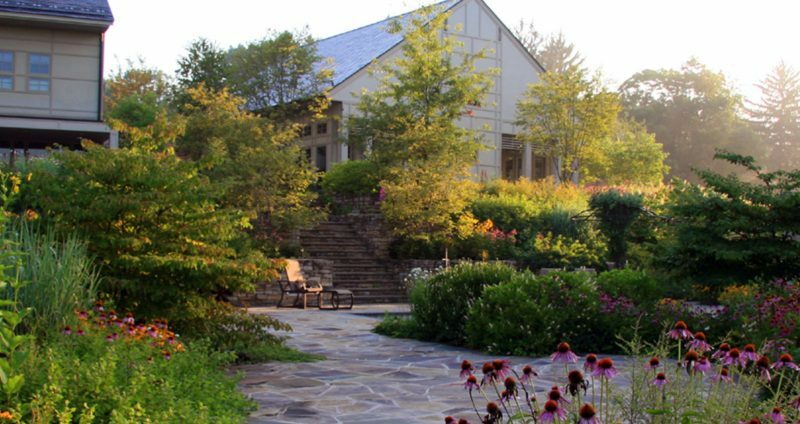 I have been volunteering at NYBG for more than 25 years and have worked in many areas, including the Native Plant Garden, Perennial Garden, and the Nolen Greenhouses. I joined as a volunteer after seeing a mention of the NYBG Volunteer program in the brochure for an evening concert that my wife and I attended many years ago. Jessica Arcate Schuler is the Director of the Thain Family Forest at The New York Botanical Garden. Many gardeners view their gardens as separate and isolated from the larger landscape. In reality, the larger landscape is a connected patchwork of ecosystems that support life. Having an invasive species in our garden does impact a local natural area, planting a diversity of plants including native species benefits wildlife, efficiently managing stormwater, fertilizer, plant health, compost and water use determine a garden’s resilience. After retiring from the Navy, I moved from Norfolk, Virginia, to Riverdale, New York, and saw an advertisement in The Riverdale Press from The New York Botanical Garden. I had volunteered at botanical gardens before and wanted to volunteer again at another garden. After visiting the Garden and learning about the diverse opportunities for volunteering, from helping out in the Children’s Adventure Garden to giving tours for visitors, I decided to sign up for the program. 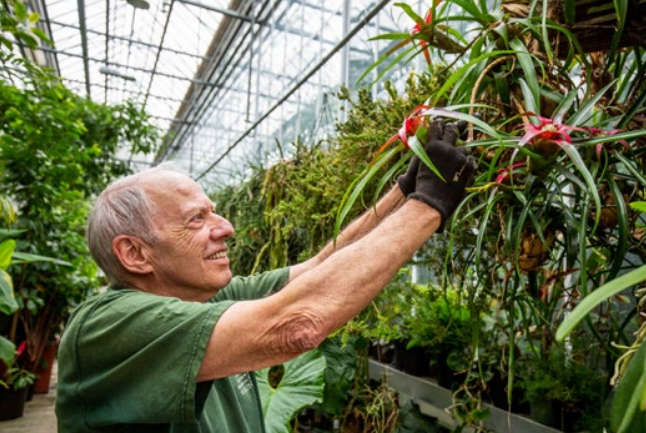 James S. Boyer, Ph.D., is the Stavros Niarchos Foundation Vice President for Children’s Education at The New York Botanical Garden. 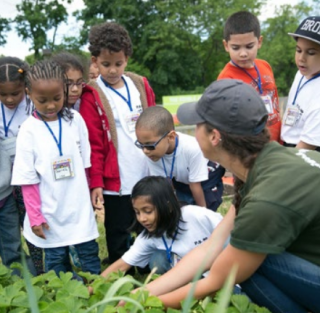 With funding from the New York City Council, NYBG’s Children’s Education department piloted a new and engaging multisession program in 2017–2018 with five local partner schools that have a long-term relationship with the Garden. These P–5 schools had the option of visiting the Garden—several times throughout the year—providing the opportunity for children to learn multiple garden-based concepts, while experiencing the seasonal changes in this natural landscape. Each session included garden-based, science and nature investigations, allowing children to explore the Garden in different seasons. These field trips provided opportunities to address grade-appropriate standards and practice developmentally appropriate process skills.